Open Source. 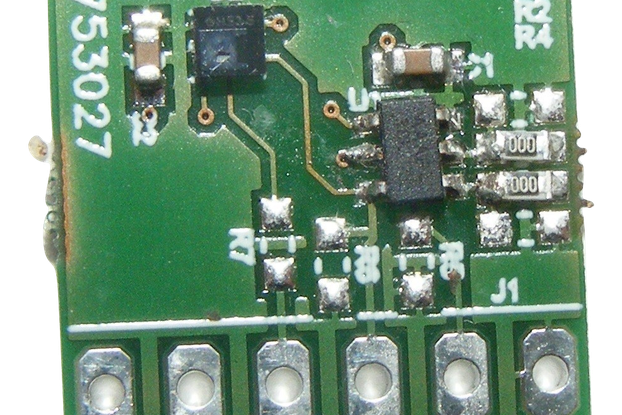 A few PCB pads expose extra MCU pins to extend functionalities. Quickly measure air-quality in a home, office or warehouse. Measure Air-Quality from a PC, gateway, RaspberryPi, etc. 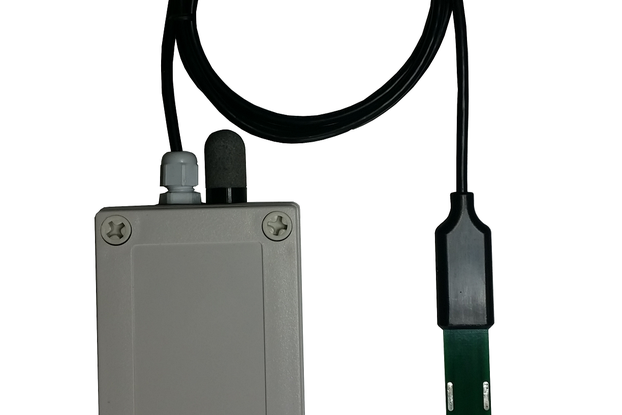 uThing::VOC™ is a USB dongle useful to quickly integrate or evaluate the Bosch BME680 air quality sensor. The integrated STM32F072 MCU capture raw data from the sensor and use the Bosch's proprietary Air Quality calculation algorithms to obtain equivalent air-quality, temperature, relative humidity and atmospheric pressure values. These values are then output over a simple Virtual Serial Comm on the USB connector in different configurable formats (JSON, CSV, Human readable or binary). 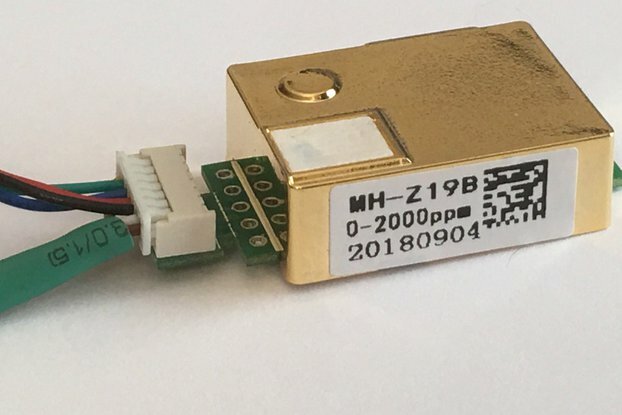 We've seen over and over situations where companies, engineers or tinkerers are working in a relatively complex proof-of-concept IoT project involving several hardware and software components (sensors, actuators, embedded boards, connectivity, backend, analytics and so on) and they need to allocate plenty of resources in the sensors data acquisition part to get the sensor's data into a gateway. 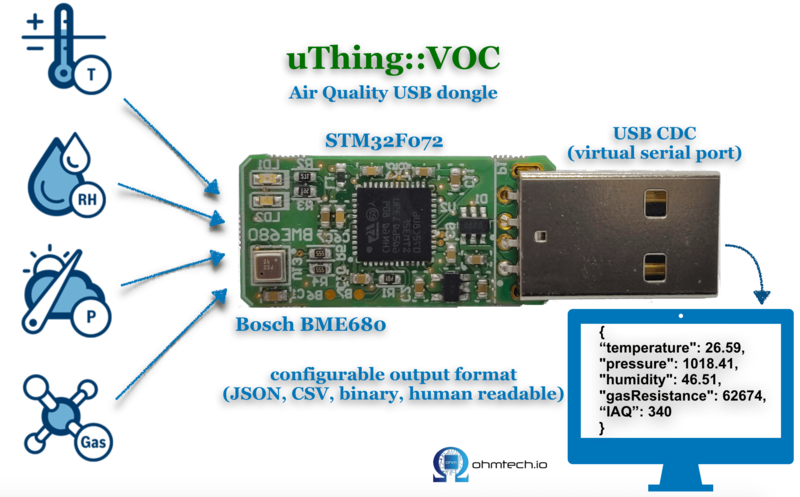 If you need to sense air-quality data and decide to use the Bosch BME680, you will find that integrating the Bosch proprietary algorithms is not a trivial task, and that the code size limits its use in constrained platforms like many Arduino boards. 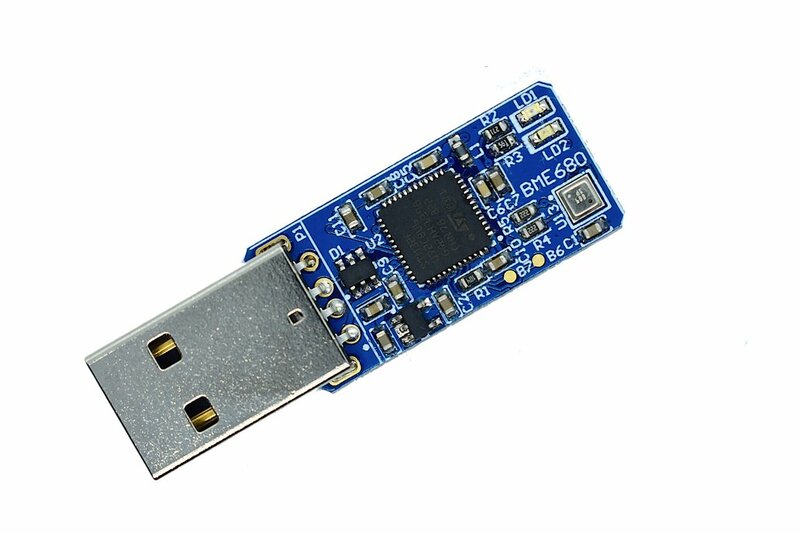 This dongle will save you plenty of firmware development time and struggles when your priority is just to get the raw + processed environmental data into a gateway or embedded PC. The VCP (Virtual Comm Port) interface makes trivial to export the data to a CSV file without the need to install any software and import in Excel for instance, or use the real-time values in JSON to integrate the sensor into a cloud-connected system, saving several hours to days of integration effort. For example, in Mac/Linux a simple command like cat /dev/cu.usbmodem1A1 > log.csv will start saving the sensor data into a CSV formatted file, making super quick and simple to collect air-quality data even for people with no coding skills. Please find the use instructions in the Datasheet below. More can be found here. Humidity accuracy tolerance: ±3% r.H.
(1) Note from the BME680 documentation: Indoor-air-quality (IAQ) gives an indication of the relative change in ambient TVOCs detected by BME680. The IAQ scale ranges from 0 (clean air) to 500 (heavily polluted air). During operation, algorithms automatically calibrate and adapt themselves to the typical environments where the sensor is operated (e.g., home, workplace, inside a car, etc. ).This automatic background calibration ensures that users experience consistent IAQ performance. The calibration process considers the recent measurement history (typ. up to four days) to ensure that IAQ=25 corresponds to typical good air and IAQ=250 indicates typical polluted air. (2) Please note that this is the BME680 accuracy. 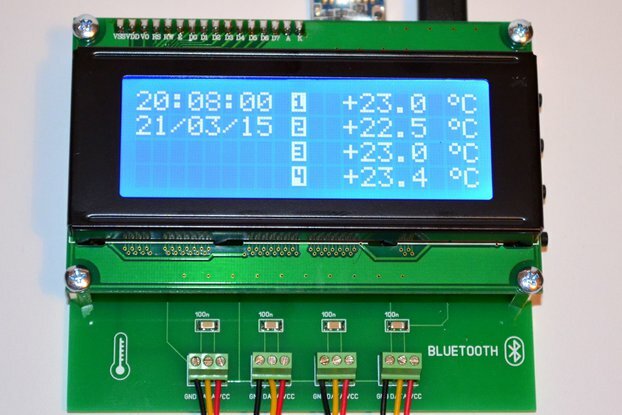 As the board will be connected to a USB port, the PCB temperature could rise due to the heat transferred from the host device, and therefore it will be an offset between the ambient temperature and the temperature seen by the BME680. The uThing::VOC was calibrated connected to an external 4-port USB hub. This is a really cool sensor chip! It’s quite easy to get started with since it’s USB and sends data in high level formats like json. Still it just comes as a chip in an anti static bag so you will need to search the Internet for information on how to use it. Have you checked the "Datasheet" file (link below)? There it's detailed documentation about how to use it. Please let me know if there is any information missing and I'll add it. I ordered the item just to play around with it and to make some first steps in the area of air quality measurement. Ordering and shipment was, simple, straightforward and quick. The product itself works like a charm, just as described in the documentation. I have used it with my Linux computer, a Rasperry Pi and a Windows 7 machine. The connection over the virtual serial port is reliable and without any issues. In the beginning, I was not sure how to interpret the "IAQ Accuracy" data item. But there are documentation files for the BOSCH BME 680 sensor online that did answer my question. So far, I did not change the firmware, so can't say anything about that. All in all, I am very happy with the uThing::VOC, definitely recommended!